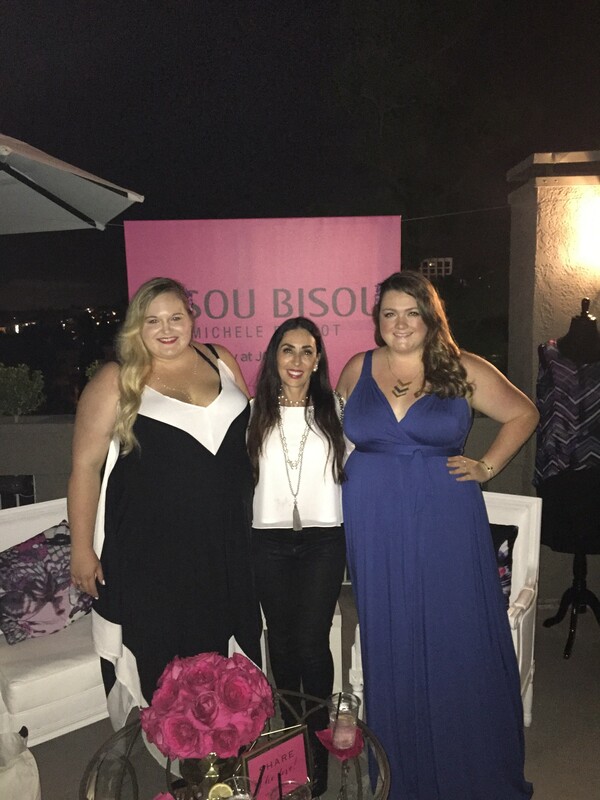 I recently attend designer Michele Bohbot’s event on a the rooftop of The Chamberlain Hotel in West Hollywood where we got a first look at the Bisou Bisou Woman Collection which is sold exclusively at JCPenney. The intimate event hosted next to the pool had cocktails, hair touch-ups and lip print readings. What I loved most was chatting with Designer & Creative Director, Michele Bohbot. She is clearly passionate about LA Fashion and the Plus Size customer. It’s great to see local brands not only hosting beautiful and fashionable events in LA but actually offering designs that I would love to wear! I used to shop at JCPenney almost exclusively years ago and I am so happy to see your post. I have not been there in a long time and I hope they have this new collection at my local store. I simply adore these pieces you have on, especially that colorful skirt! Hey! Yes, I think you will LOVE the new pieces! !